Credit: QUT Marketing & Communication. The research undertaken by QUT's Centre for Accident Research & Road Safety – Queensland (CARRS-Q) and published in the prestigious PLOS ONE journal has found locating a ringing phone, checking who is calling, and rejecting or answering the call, is the most frequent mobile phone task undertaken by drivers. Lead researcher Oscar Oviedo-Trespalacios said drivers did not believe that locating and answering a ringing phone was as risky as talking, texting or browsing. "The study of 484 Queensland drivers found 45 per cent admit to locating and answering a ringing phone, compared to 28 per cent who reported speaking on a handheld device. "Also concerning is that more drivers reported looking at a screen for more than 2 seconds or locating and answering a ringing phone, than they did talking on a handheld phone, texting or browsing." Mr Oviedo-Trespalacios said when considering the risk of these different mobile phone tasks, most drivers underestimated the distracting dangers of passive phone use. 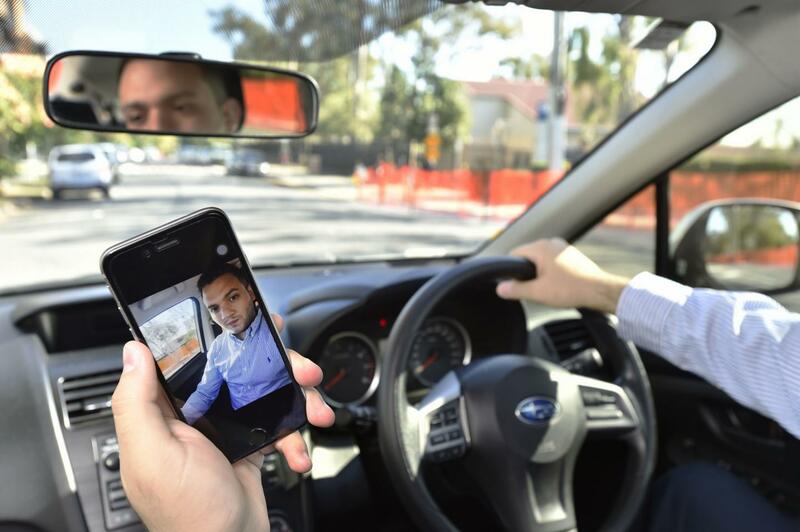 "Finding and reaching for a ringing phone is perceived by drivers as having a mid-range crash risk, however research has showed that this task is one of the most risky activities a driver can engage in," he said. "This is because drivers are likely to adapt their driving behaviour when talking, texting and browsing, by reducing their speed, increasing their distance from the vehicle in front and scanning their environment more frequently. "On the other hand, a ringing mobile phone can occur at any time without giving time for the driver to adapt their behaviour and therefore increases the likelihood of a crash. "This mismatch in perception of risk is a major concern revealed by the study." Mr Oviedo-Trespalacios said using a mobile phone while driving had been shown to increase crash risk four-fold. "Novice drivers are particularly at risk as they are more likely to drive while using a mobile phone." The paper titled Risk factors of mobile phone use while driving in Queensland: prevalence, attitudes, crash risk perception and task-management strategies, was co-authored by Dr Mark King (QUT), Dr Md. Mazharul Haque (QUT) and Professor Simon Washington (UQ).